With the advent of advanced information and communication technologies (ICT), especially social media, new forms of collective actions (CAs) have emerged calling for reassessment of some aspects of traditional CA theories. However, regardless of the prominent role of social media platforms in various movements, there is a scarcity of online CA research. Existing computational studies focusing on capturing and mapping social media interactions and issues manage to identify the very manifestations of CA. These studies, unfortunately, rarely go beyond a mere descriptive tendency. We propose a methodology to gain deeper insights into online CA by analyzing issue propagation, influential community members’ roles, and the transcending nature of CA through individual, community, and transnational perspectives. The efficacy of the proposed model is demonstrated by a case study of the Saudi women campaigns on the ban of driving, including data from the 2008 Wajeha al-Huwaider’s driving campaigns and the 2011 ‘Women2Drive’ campaign observed on various social media sites. As conceptualized, utilized, and illustrated in this case study, our proposed methodology highlights several key contributions to the fundamental research on online CAs as well as computational studies on social media in general. 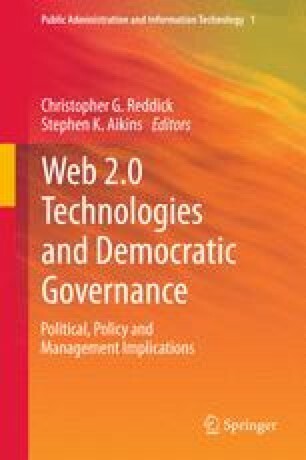 We offer: a new framework to understand the evolution and diffusion of issues in online CA networks; a new approach focusing on the formation of issues providing a rigorous model; and, ultimately, a new understanding of the relationship between online CAs and the rapidly changing online environment. This research was funded in part by the National Science Foundation’s Social-Computational Systems (SoCS) and Human Centered Computing (HCC) programs (Award Numbers: IIS-1110868 and IIS-1110649) and the US Office of Naval Research (Grant number: N000141010091). Their support is gratefully acknowledged. Any opinions, findings, and conclusions or recommendations expressed in this material are those of the authors and do not necessarily reflect the views of the funding agencies. Agarwal, N., Lim, M., & Wigand, R. T. (2011a). Finding her master’s voice: The power of collective action among female muslim bloggers. Proceedings of the 19th European Conference on Information Systems (ECIS). Helsinki, Finland, June 9–11, Paper 74. http://aisel.aisnet.org/ecis2011/74.